As IIPM makes headlines yet again for the wrong reasons, I skimmed through Cutting the Chai archives and my tweets to realise that there have been a lot since the infamous IIPM vs Bloggers battle back in 2005 that I have posted about. Since this little blog isn’t quite as popular as the other websites which have their URLs blocked by the grace of short-sighted laws that we have thrust upon ourselves, it usually manages to pass under the radar. This time around, thanks to the proliferation of social media, the controversy is likely to cause more damage to IIPM than back in 2005. Back then the mainstream media was slow, even reluctant, in its response. 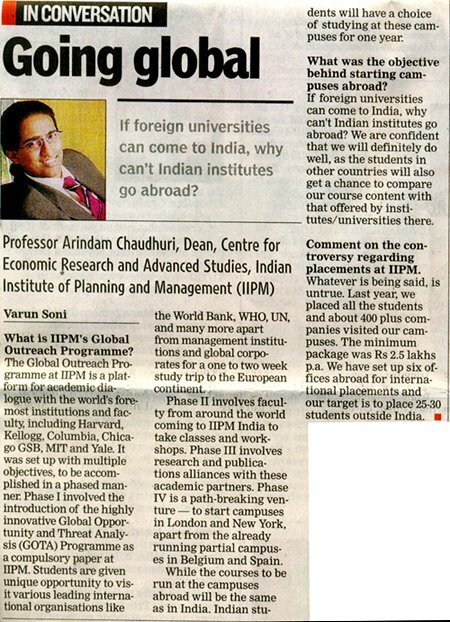 I think it is again time to re-read all that have been written about the Indian Institute of Planning and Management (a pompous name indeed) and its garishly-dressed chief Arindam Chaudhuri. 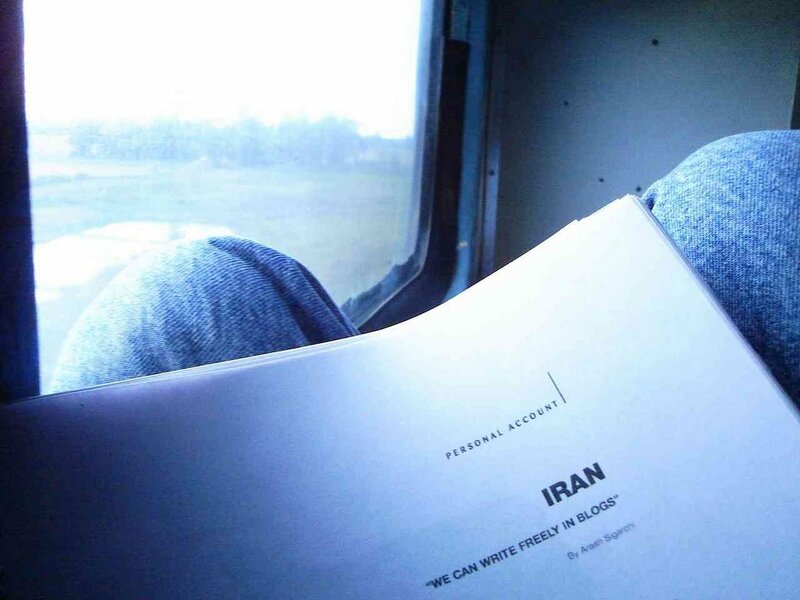 Read at leisure. The saga is still unfolding. The other party has unleashed another threat. A desperate effort to intimidate. The damages demanded this time is Rs. 175 crores. Wow! a Rs. 50 crore jump in ‘reputation’ (if any) value. This even beats the massive erection which the BSE Sensex had built up. All this has left me wondering; correct me if I’m wrong. In the bazaar of education, reputation sells. IIMs and others (irrespective of B-school survey ratings) do not need to spend crores to attract students, to sell never to be fulfilled dreams. Quality speaks for itself. No full page advertisements are necessary, no yelling from rooftops required. No chicken and egg story need to be told (which fellow bloggers tell me is listed in the humour section of an online store). And does anyone out there remember the much hyped (by the ever ignorant and story starved media) movie, I don’t even remember the name. The one which Mr. Bean, oops! Mr. Dean directed. Didn’t even hear a whisper about it, did it even get released? Of the little I know of managers and management skills, the principle always is to try to stop a fire from spreading (unless the motive is insurance). But that doesn’t mean that you empty a bucket of water over an electrical fire. If the ‘institution’ in question had such impeccable antecedents – why do they not come out in the open with facts – something which respectable organisations do when something malicious appears about them in the media? I had too much faith in the Indian media to ignore this story altogether, but thankfully I was proved wrong. Some of them in fact did and more should be on the way. Some people are alleging that bloggers are ‘ganging up’ against IIPM. I agree. But I don’t see anything wrong with it. The Blog is the citizens’ media, it’s power lies in it’s collective voice. If one of them shouts, the voice can be easily muffled (as it was attempted to), but a thousand voices yelling in unison make themselves heard. Let’s have a fair debate. But here again, all the arguments seem to be for the motion, whereas the opposition bench has only resorted to legalised threats and some splogs. All of us desperately want to hear the other side of the story; the elevating damage claims are fast losing their novelty. All the notices were sent to bloggers who didn’t feel the need to camouflage their identities. If indeed their intentions were malicious, as the notices state, wouldn’t it be more successfully and less riskily implemented by remaining anonymous? ATTENTION: Sploggers. But will IIPM, really, seriously, go to the courts. I don’t think so (I often end up being wrong). Commonsense says that they have more to lose. The closet might be ripped open and you never know what might tumble out. But then again, it’s commonsense. ‘Internationally renowned management gurus’ don’t think like lowly mortals as me. 1. The IIPM exposé (and the following battle with the bloggers): It all began with JAM publishing (what most aware Indians were already aware of) a rebuttal of IIPM’s tall claims, and then Gaurav Sabnis doing his bit and giving up his job in the process, followed by the Indian blogging community pitching in (there were some multi-million rupee legal notices in between). IIPM is again making news, of the wrong kind of course. Many thanks to Careers 360 for bringing to light, again, the truth beind the tall claims by IIPM. Incidentally Outlook, also published by Maheshswer Peri, had banished the institute from its B-school rankings. But that didn’t prevent IIPM from flaunting Outlook‘s ranking on its ads. Though for many this wouldn’t be news. Back in 2005 IIPM had brought in some excitement to the Indian blogosphere because of something similar. But unfortunately this story has to be repeated over and over again. IIPM hasn’t learnt any lesson, not that we expected it to, and continues making pompous claims in full-page ads on major national dailies (I doubt any of those would publish any negative news on IIPM) and students still fall for such arrogates. Therefore it becomes a responsibility for people who are aware of the facts to disseminate the other side of the story at regular intervals. We might not have the resources for full-page colour ads but we have the strength of community and we should use it for the advantage of the unsuspecting and gullible students who spend lakhs of their parents earnings for a ‘degree’ whose worth is under question. Move over London, Wharton, Harvard here comes “The Greatest B-School on Earth” IIPM! I think people with access to Shah Rukh Khan should advise him to reconsider his association with IIPM. People tend to falsely add credibility to whatever a star endorses. I, on my part, have sent a tweet to the Twitter account believed to be Shah Rukh’s(Update: As it turns out, the Twitter ID wasn’t SRK’s). And there’s also Planman CHE (Centre for Higher Education) and the logo, you guessed it, the star on Che Guevara’s beret. Prospective students should be very wary of the ads published by institutes and always read the fine print. I happened to notice this on yesterday’s edition of The Indian Express. Dr MGR Educational and Research Institute University, Chennai, advertisess itself as “India’s No. 4 University” but the fact is that it ranks fourth (according to a Financial Express study) only amongst the universities established after 2000. Though to their credit, it is mentioned in the ad, but something that could easlily miss the eye. By the way, what happened to the multi-crore lawsuit fromm 2005? Only bow-wow-wow? Some of you have enquired about why the post on Dolly Bindra on Fantasy magazine cover suddenly disappeared from the blog and I believe I owe you an explanation. I took off the post because Dolly Bindra requested me to and I thought she had a valid argument and I should oblige. Also I think the stance she took in ensuring that the post is removed is one of the most effective ways to act whenever caught in such a situation – some random website publishes something about you that may not be entirely true, or violates some of your rights or just that something you don’t people to discover online. As I had mentioned in the post, many of the models whose photographs appeared in such magazines were themselves not aware of their images being used and were therefore surprised (if not shocked) to discover their photographs being published. When Dolly discovered this she was obviously a little upset, as she told me later and also that the image was part of a portfolio that she had shot but never distributed. Apparently the photographer sold it without even seeking her permission. She tried to contact me through my various public profiles and initially contended that I couldn’t legally publish the image. I contested her contention. She said that the image could be seen out of context and a large part of the audience is not very discerning. As Cutting the Chai is all about sharing, I shared her concerns and voluntarily offered to take off the post and the image. Irrespective of the impression that her appearance on Bigg Boss gave us, she is a nice (and calm) person to speak to (only that she speaks a lot). Cutting the Chai, though some content in here may be objectionable to some, is not a sleazy blog whose only intention is to titillate for traffic. Therefore it didn’t matter to me much if the post want away. What Dolly did right was to immediately try to reach the owner of the blog through all possible communication streams, this meant that I just couldn’t miss her message, unless of course I had shifted base to under a rock. Her message had a hint of caution (only as hint is fine. Many bloggers, including me, don’t take too kindly to being directly threatened) and her contact info (email ID and phone number) requesting me to get in touch. I am not much of a phone person and am more comfortable communicating via email. I sent her an email explaining my position. She insisted that I call her (she obviously is more of a phone person) as she didn’t have my number. I did and in the long (and mostly one-sided conversation) that followed she explained her apprehensions and I assured her that I will comply with her request. I immediately did. She had her way and it wasn’t too much of a trouble for any of us. Now imagine a couple of other situations, with real-life examples. The ‘offended’ party using their connections contacts the employer of the blogger concerned. Though most ethical employers will stay away from interfering with what their employees do outside work, but it can easily boil to a Gaurav Sabnis situation. IIPM miscalculated the reaction to its threat and landed up with even more negative publicity. The Indian blogosphere frantically typed in support of Gaurav and against IIPM. What did IIPM gain? Zilch. Situation 2. The ‘offended’ party with deep pockets and lawyers in dark suits believes offence is the best defence. So they serve the blogger with a legal notice threatening punitive action. The poor blogger, who cannot afford legal hit-men in black suits (and is also a little on the wrong foot), complies and also publishes an apology. But the word leaks out of a big business arm-twisting a misfortunate blogger and the blogger immediately becomes the victim in the eyes of the audience and the ‘offended’ party the villain. This again results in the kind of worldwide buzz that one wouldn’t have bargained for. The ‘malicious’ content that the ‘offended’ party wanted to get removed, spreads like wildfire and no top-notch legal team in the world will be able to dowse it with any amount of legalese. Ask Barkha Dutt. Therefore the best approach is instead of confronting, contact and communicate your misgivings. The Internet tends to bring the rich and mighty at the same level as an unemployed youth with just an Internet connection. Therefore it is always advisable to pull your punches. Most people are reasonable enough to understand your point (that is, if your point is reasonable enough) and in most cases agree to what you requested for. The other approaches should be used only as a last resort, though I am quite against contacting an employer to ask an employee take off some content that he/she has put up as a private individual. Taking an offensive stance can very easily backfire and once its goes viral that is little that can quell it. Therefore play sweet, play safe.